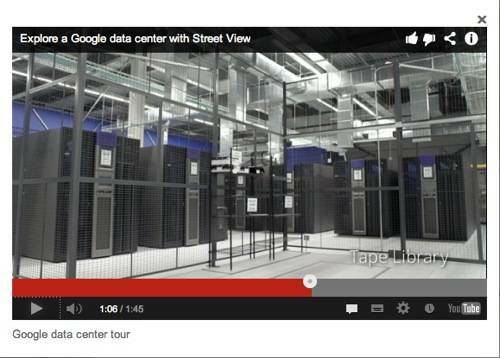 Video A new video from internet search giant Google shows off the tape libraries where all the "important stuff" is looked after in its new Lenoir data centre. And it looks like the tape it has chosen is the very same stuff it used to restore lost emails during The Great Gmail Out(r)age of 2011. The Chocolate Factory has released a show-offy vid of its four-year-old data centre in the North Carolina city of Lenoir, nestled in the foothills of the Blue Ridge mountains. The video shows servers and what-not and then lovingly pans over the tape libraries. The voice commentary at that point says: "We store another copy of the most important data on digital tape." It looks like the same box, apart from the fact that the Google installation is missing the Sun Oracle logos on the top of the central panels. The 8500 has up to 10,088 slots for tape cartridges in a single system and can hold 15PB of raw data with LTO-5 tapes, and 150PB in 10 linked libraries. 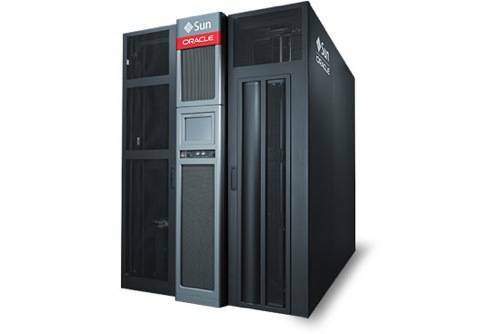 It can hold up to 1 exabyte of compressed data (2:1) using Oracle's T1000c tape format. It's interesting that Google pretty much builds its own servers and storage but appears to have baulked at building its own tape libraries. And with Google's 13 data centres, it's also possible it has many more StreamLine 8500s than the six that are seemingly on view in its Lenoir centre. Back in April 2011 we were privately told it had 16 StreamLine libraries and used LTO format tapes to restore lost emails.